There are plenty of good reasons to want an upright piano as opposed to a regular grand piano, mostly revolving around space and convenience. Whatever the reason, you will be happy to know that there are plenty of decent upright pianos out there, each with their own particularities. Given their compact design, upright pianos were the inspiration for many digital pianos who toward the high-end part of the price spectrum, all seem to employ a similar design. That is exactly what we will explore over the next few minutes, because even among upright digital pianos, some are definitely better than others. To give you a better idea of what’s out there, we put together a list of the ten best upright pianos money can buy. 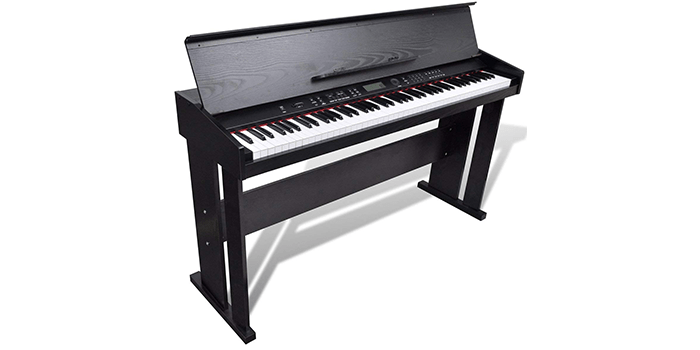 This electronic upright piano features a pleasant tone quality and a wide range of functions to choose from. To be more precise, it offers no less than 128 sounds to choose from, auto-accompaniment styles, and 5 pre-programmed demo songs for you to use. Not just that but it also enables you to record sounds freely thanks to a useful recording function it is capable of. Furthermore, the keyboard employs a fairly practical interface with LED buttons for its many interesting functions. 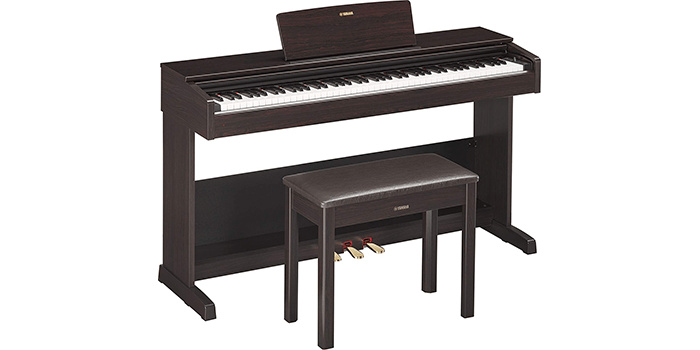 The first thing to point out about this particular piano is that it includes a Deluxe Bench and Sustain Pedal, features an experienced piano player should always look for in a piano. We should also point out that it is operated by a Graded-hammer system and that it includes 88 full-sized keys. Interestingly enough, this compact grand piano also features a very sensitive aftertouch/velocity for that virtuoso-like player who wants better control over the sound palette. 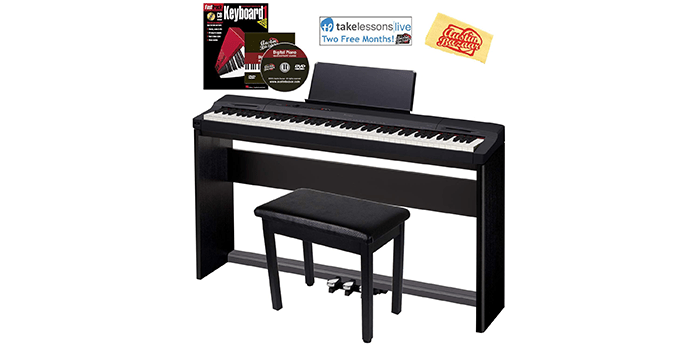 This particular piano keyboard is perfect for beginners, an inexpensive yet highly practical starter pack for anyone who’s thinking about eventually graduating to a regular upright piano. It uses a smaller, 61-key keyboard with lighting function for greater comfort, a highly stimulative design intended to make the learning experience more enjoyable. Not just that but despite its inexpensive nature, this keyboard includes no less than 255 timbres, 255 rhythms, and 50 demonstration songs to help you through. While on the subject of learning pianos, we should also talk about the Artesia FUN-1 for a minute. 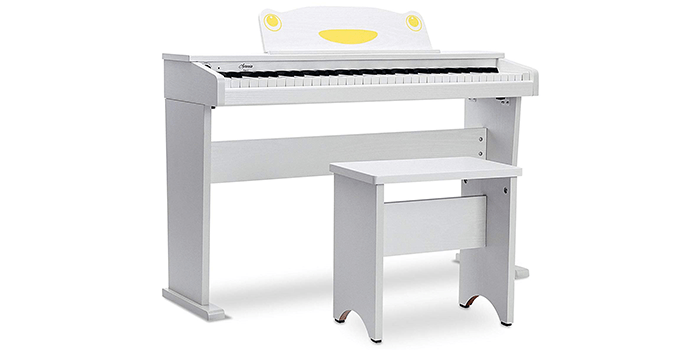 This comfortable, educational 61-key piano, is perfect for any musically-inclined child on account of how well it’s made. It features 61 full-size velocity-sensitive keys, a 32-note polyphony, 8 instrument voices & animal sounds, and two fairly loudspeakers to top it all off. What’s interesting is that it is also iPad and laptop compatible. 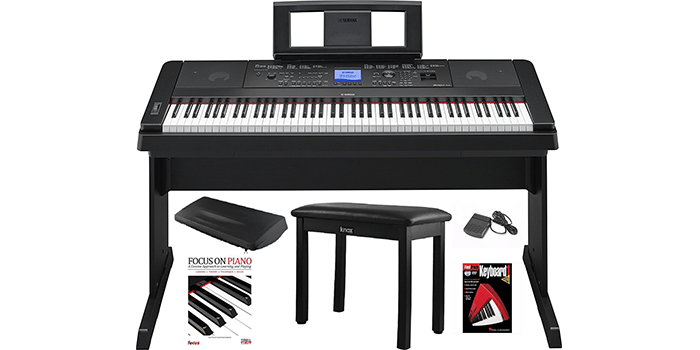 With this all-inclusive set from Casio, you get a Casio PX150PKG 88-Key digital piano with a tri-sensor, scaled hammer-action keyboard. You also get a 4-layer stereo piano with hammer response and a damper resonance simulator. Now, as far as the key responsiveness goes, it is among the most accurate and responsive out there. At the same time, you will find this particular piano to be a lot more flexible in regards to its tone and practicality, which is quite impressive considering its seemingly simplistic design. Thanks to its appealing tones, this digital piano is guaranteed to deliver a digitalization like no other. 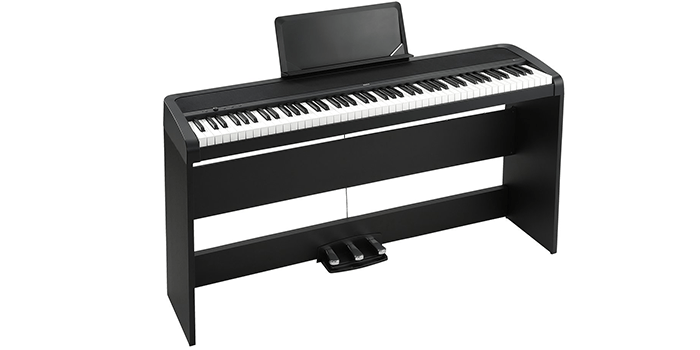 Its 88 standard piano keys are designed to provide an outstanding feel and response, which is great considering its 3-pedal system and the multi-functional feature sound it delivers. Not just that but it also benefits greatly from an LCD display screen, 960 tones, 128 polyphony options, 200 rhythms, no less than 80 demo songs, and built-in stereo speakers of the highest quality. Equipped with 88 natural weighted hammer action keyboard keys, this digital piano is perhaps one of the most responsive out there. It also stands out for its 8 accurate digitally sampled sounds and a maximum polyphony of 120 voices. At the same time, it features a built-in stereo sound system with an incorporated MFB Servo technology. Given its three pedals that attach to the piano damper, it can also be considered a fairly practical setup by most standards. 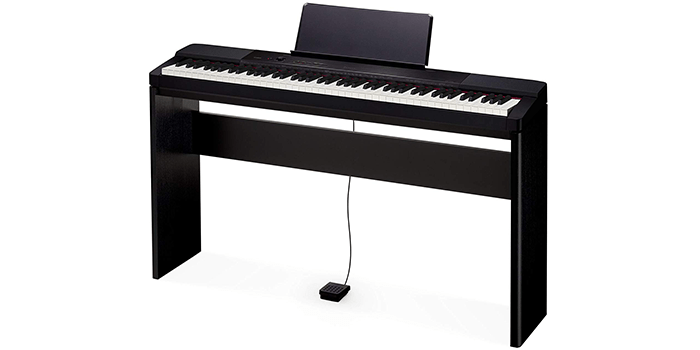 Yamaha really sets the standard in many aspects when it comes to digital pianos and keyboards, a fact made obvious by the DGX-660 as well. 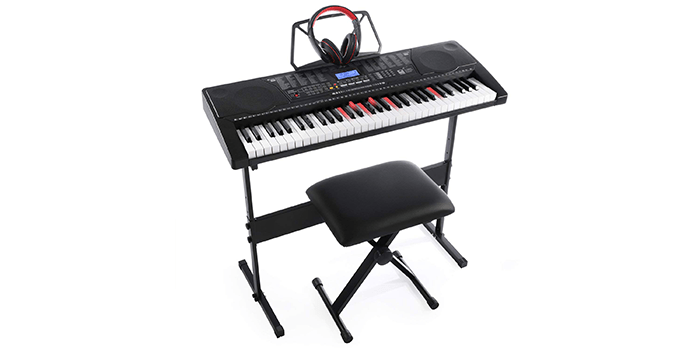 You see, this ingenious grand digital piano features a very convenient display that lets you view music notation of MIDI songs on the screen so as to help you play your favorite tunes by following the graphics. At the same time, its GHX weighted action keys are heavier in the low register and lighter in the high register, a lot like traditional acoustic pianos. Furthermore, this piano comes with a Knox piano bench, a useful pedal, a dust cover, and a book/DVD for good measure. 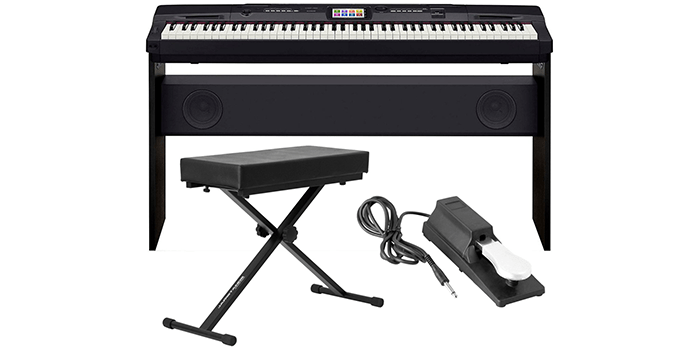 Sold as a bundle, this set not only includes a very capable PX-160 digital piano but also a CS67 stand, an SP-33 pedal, a furniture bench, an instructional book, an Austin Bazaar instructional DVD, and a polishing cloth for easy maintenance. It also needs to be said that this is one of Casio’s best-selling digital pianos, a much-improved version of the Casio PX-150 which is to this day one of the most popular in the industry. We should also point out that it features an elegant look with a redesigned speaker system and two headphone outputs on the front along with 1/4″ left and right line outputs. 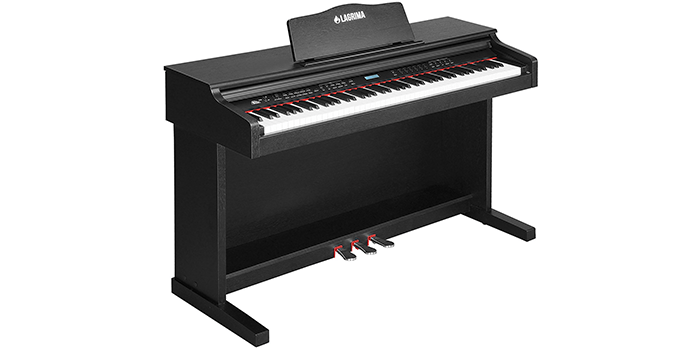 Many people consider Yamaha’s YDP103 Arius to be one of the best upright digital pianos the market has to offer at this point in time. This is owed to its GHS weighted action keys with are heavier in the low keys and lighter in the high keys, similar to an acoustic piano in many ways. This ingenious piano also features special matte black keytops designed to absorb moisture and remain tactile after extended use with no risk of becoming slippery at any time. Last but not least, the piano comes with advanced wave memory stereo samplings to recreate natural instrument sounds in perfect stereo.